Freedocast Pro Device allows you to live stream your video content to Facebook with a simple touch. With just 4 elementary steps, you can live broadcast to Facebook your product launches, celebrity interviews, conferences, meetings, weddings, graduation ceremonies, events etc. The device is a one stop shop to live telecast everything of importance to Facebook which may help you grow your business/ audience or stay in touch with your friends. Live Streaming to Facebook is just a tap away. 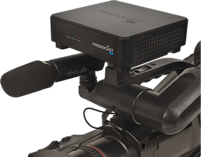 Connect the device to a Camera or a Video Source through HDMI IN. An HD Camera would be good. Full HD would be better. You don’t want the people to see a low-quality video full of Pixels. The device supports all types of Point and Shoot, Go Pro, and High-Resolution Video cameras. A secondary connection from the microphone or the Audio mixer is appreciated if a better-quality sound is in your "must have" list. Connecting the sound source gives you a better-quality audio. Open Freedocast Pro App and select the device. You have already paired the device and made it ready. All you need to do is select it through your App and go to the next step. Open the Freedocast Pro App, Login, tap on the device name and establish a connection between the both. Select an event you want to broadcast live. Create an event if there is none. Event selection is the most important thing to do in the process. A planned event which is fully advertised is good for business. Create an event and keep updating the date regularly on social media. Create a promo. Get your users excited about the event and finally when the event comes, you will have the maximum attendance. An Event which people know about comes in handy when people search for it. After selecting the event, you will need to select the platform on which you want to go live. Tap on 'Add' button under "Facebook Live"
Login to your Facebook account and provide the required permissions. Choose where you want to "stream to" - to your personal timeline or to a page that you manage. Facebook is undeniably the most used Social medium right now. Individuals looking to become prominent, businesses looking to earn a name or grow, Facebook is everyone's choice to reach their respective target audience. And the best approach to reach your audience, keep them engaged or build a new audience is through a video live stream. Video Live streaming is the most effective modus operandi that all the businesses are embracing recently. Of the countless business, personal and Professional Applications of the device, here are some which can help you boost your business or bring happiness into your life. Extending your product launch event to the online media along with the mainstream will get you more exposure. 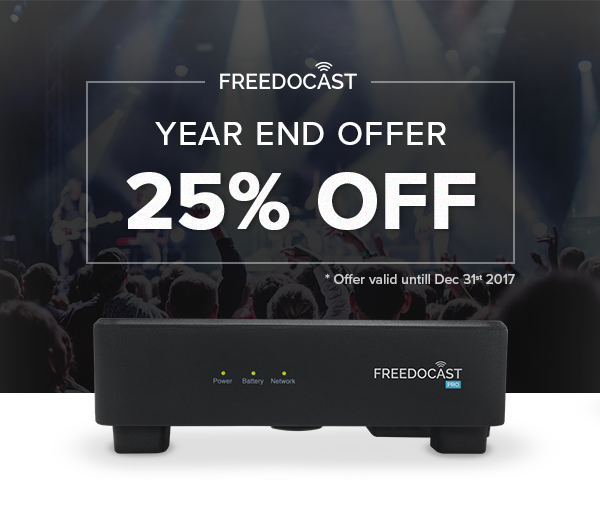 People who cannot afford the mainstream, Freedocast allows you to reach your audience with a simple touch and great video/ audio. Live stream your wedding to the people who could not attend the event. Give them the satisfaction that they did not miss the event just because they stayed far away or couldn't get a leave. This can work for the videographers as a business boost if you provide the option yourself. Broadcasting on Facebook live will be a perfect business move for an upcoming DJ looking to go big. Build enough suspense on your event by advertising it the right way. Make it big with Freedocast not just for you but for the audience who are there for you. There will always be loved ones who wish they could attend your graduation ceremony and you can make it memorable for them by live streaming the event on Facebook live using Freedocast. Freedocast allows you to secure your videos, Geo Block them in addition to broadcasting them on Facebook live.